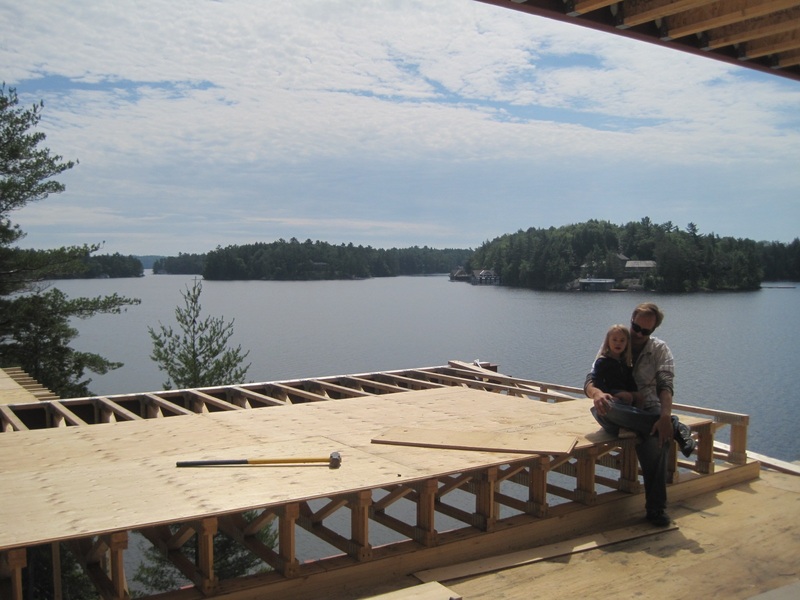 Having years of experience in Muskoka offering complete design/build turnkey homes, we have developed successful working relationships with the right people. We are able to achieve superior results for your project creating professional drawings in house for your custom designed home. View some of the exceptional custom residences designed and built by Muskoka Custom Cottages. We offer professional design using AutoCAD, engineering, management of permits, testing, inspections, right to occupancy providing attentive supervision at each and every step of your build. Having operated in Muskoka for many years Muskoka Custom Cottages has built many homes, cottages, boathouses, and structures cherished by the families and friends of Muskoka residents. Services for site excavation, soil density testing, and hydro engineering available. Keeping the environment as pristine and natural as possible is important to us and many of our clients when building their Muskoka residence. Using green environmental technologies i.e. solar and environmentally friendly products i.e. EnviroShake, we can also help your new custom home be greener. We have had the pleasure of working with Mat and his team at Muskoka Custom Cottages for several projects from new builds to renovations and they are a team of dedicated professionals that build beautiful, high quality projects. They are mindful of the clients objectives and budgets through the entire project. We have worked together with Muskoka Custom Cottages to help provide their customers the design/decorating resources that assists with making informed decisions throughout the building process. From choosing the exterior and interior finishes right through lighting, furniture and accessory needs. We truly enjoy being part of their professional project team and look forward to working with Muskoka Custom Cottages in the future. My wife and I started our journey in building a new cottage about 10 years ago. After several failed attempts at finding a trustworthy builder we met Matt McCague at the cottage show almost 4 years ago. We did our due diligence and interviewed his past customers, visited past and current projects. We courted Matt for over 2 years before committing to have him build our dream cottage. He never objected to our millions of questions and was always willing to review or meet with us to discuss our plans. We have been so pleased with the progress. We’re about 75% complete. Matt estimated a spring completion date and we’re on track. He has always been very up front and clear on the stages of the construction. Matt is very hands on and is always involved in the day to day process. Being the type of person that has always done their own work and renos I was sceptical I would find a builder that I could work with and one who would be tolerant with me. Our experience has been fantastic. I have never regretted my decision to hire Muskoka Custom Cottages. I believe Matt honestly cares about his customers and truly wants to make their building experience fulfilling. Matt is a problem solver. He will find a solution for every issue that may arise. He has been very patient and allowed me to be involved as much as I wanted to be in the decisions through the course of construction. I thank Matt for his exceptional work and feel we have formed a long lasting friendship. Jenn and Matt McCague completed a major renovation of our cottage during the Fall, Winter and Spring in 2014-2015. My wife and I had planned the renovation of our 150 year old original area homestead over a number of years. It was and remains our plan to retire to the cottage and we wanted the final product to be our future permanent home. It had to be well built, energy efficient, appealing and attractive to us, our family and our many guests who visit annually. We reviewed the design drawings with several prominent contractors in the Muskoka/Haliburton region and chose Muskoka Custom Cottages (MCC) to build our “dream” home. Jenn and Matt did not disappoint. Both were excellent in helping us finalize our plans to construct a home that exceeded our original design expectations. The MCC work crews were innovative and reliable and demonstrated an approach that can only be achieved through decades of construction experience. We visited the work site almost every weekend while it was being built and we were able to watch the progress and dedication to detail that went into every phase of the construction. We have now enjoyed the completed cottage for almost two years and are thrilled with the finished product. Most importantly, our new home is comfortable and functional for our family with all the high end features we had hoped to achieve. We have no hesitation in recommending MCC and its principals, Jenn and Matt, and all of their dedicated workers to anyone who is looking for a superior built cottage with personalized attention, a reliable construction schedule, and, above all, a result that you can treasure with your family. Our experience with Muskoka Custom Cottages was very positive. The renovation of our summer home was done with the highest quality and excellent workmanship. We were in another province so we were dependant on receiving regular updates and information. Matt and Jenn McCague have an excellent team of highly skilled craftsmen who solved many unforeseen problems with creativity and skill. We would recommend Muskoka Custom Cottages with no hesitation.